2019 Models. Wide stable hull with hard chine design offers unmatched stability, twin plating at the chine, fully enclosed aluminum clad transom, Parallel seats at stern, Durable ribbed polyethylene seat covering, High gloss exterior paint and Anti-skid, anti glare interior paint finishes. Planes excellent with even lesser horse power motors...Save when packaged with Dependable Mercury 20 (electric start) outboard Motor and Yacht Club galvanized Trailer. Package Price $ 9290.00..........Dealer prep and Pdi additional. 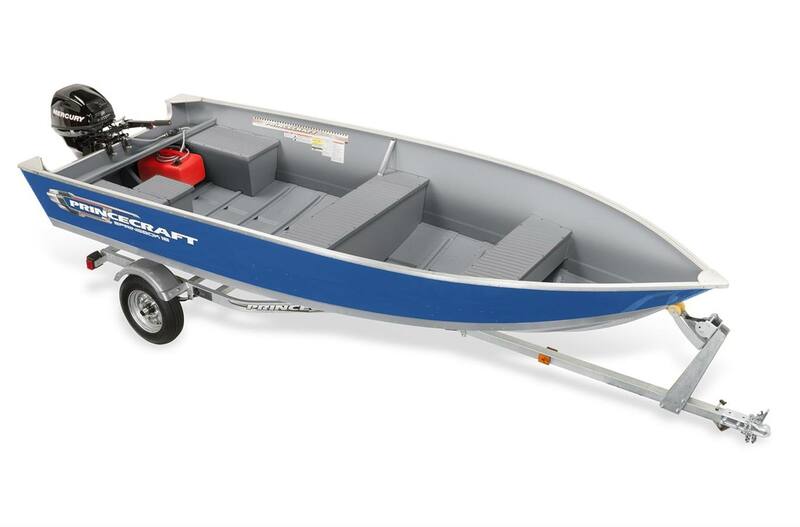 This 16' aluminum utility boat can handle an outboard engine ranging from 15 to 30 HP and hold up to 3 people (4 in the USA). It is lightweight and compact and built to let you enjoy years of satisfaction.